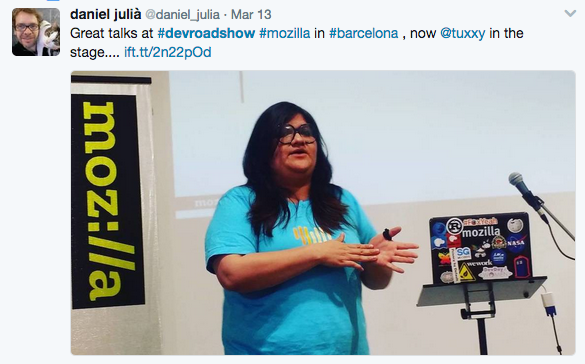 Mozilla Developer Roadshow completes 11 events in our series! I have included several links for better, detailed blog posts on tech topics mentioned. Read on as I share with you my travel failures, food coma, language barriers, and realizing that cancelled flights may actually be a good thing. It was 5am at PDX. 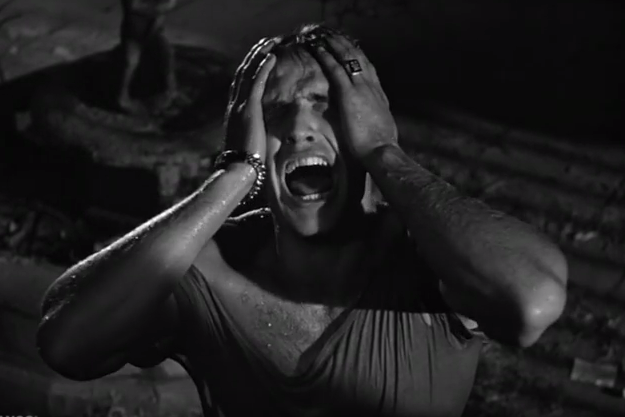 I had no coffee. And I was told that the first leg of my flight was cancelled. I dragged around my suitcase and a very heavy webVR kit going from counter to counter, and finally got a seat out to MAD at 9:30am. Every single DevRel person has been through a version of this experience, multiple times. 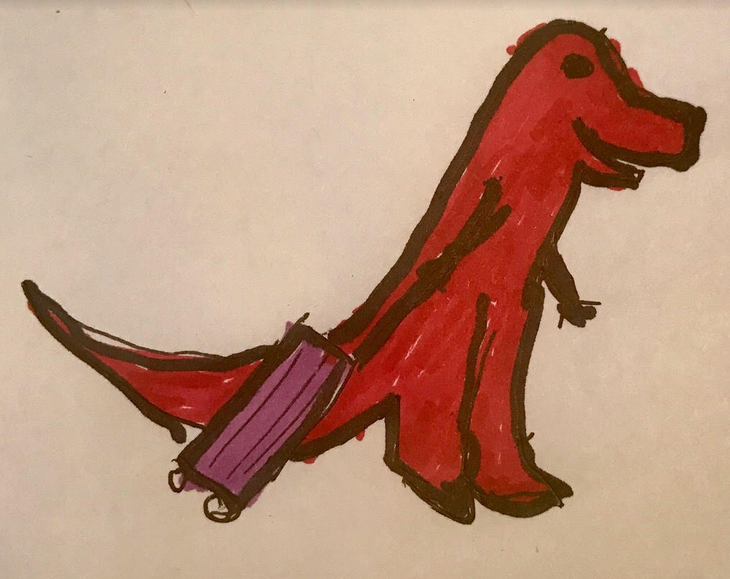 Thanks to Danielle Vincent for this rendition of globe trotting me and my purple case! Well, I made it to Madrid. 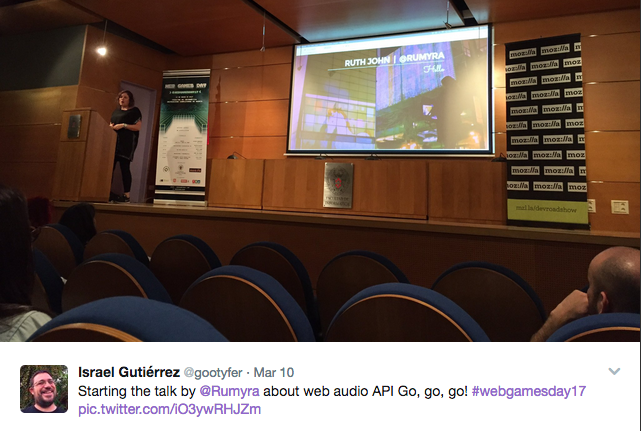 The team delivered one full day of talks and demos on web games and webV. Students and staff at the University created virtual landscapes with A-Painter and danced to A-Saturday Night. 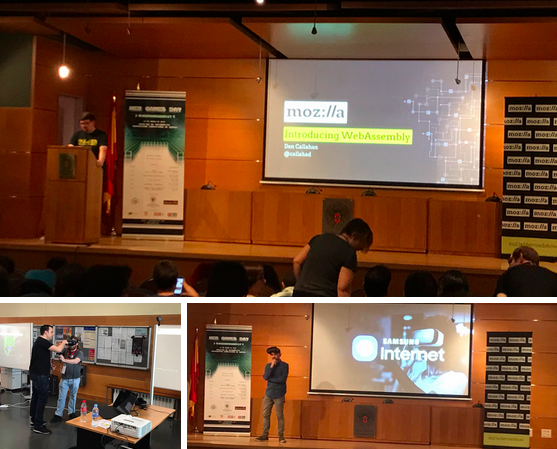 And we woke bright and early Saturday morning for the WebAssembly workshop with the MadridJS community. 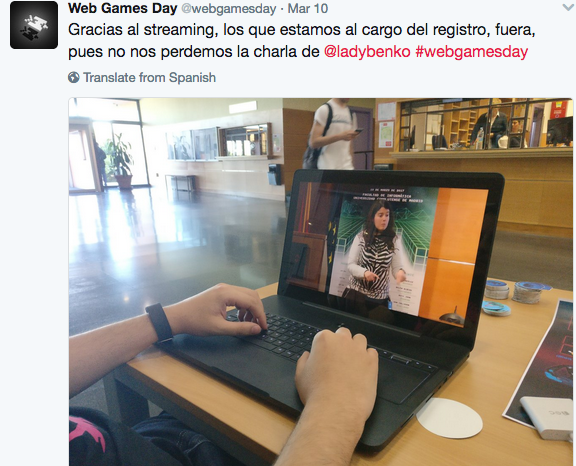 Thank you Salva for putting together an amazing web games day! 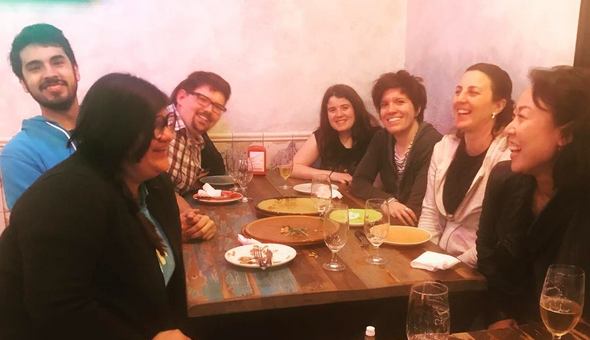 We also connected with fellow Samsung DevRel advocate Diego González and coding artist, Ruth John, to nosh on some quality Spanish tapas and talk about VR gear and web audio. And sometimes, a talk can be totally different depending on the selected spoken language! The team wrapped up our Spain series, and I was getting ready for my morning flight out to JFK for our NYC segment. Or, so I thought. Once again, my flight was cancelled (along with everyone else headed to the east coast!) due to Snowstorm Stella this time. So, I swapped plans to fly further west to San Francisco instead to join our MTV Roadshow with Lin Clark and Potch, and head home early to see my family. The good news is, everything worked out. Our NYC team was already on site for the upcoming CSS Grid workshop at NY Times with Jen Simmons, and Aurelia Moser delivered the Security and Privacy workshop for the Girl Develop It community the next evening at our Mozilla Foundation space. 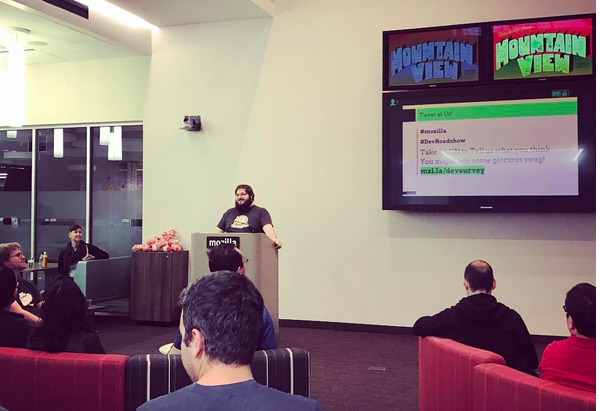 And although I would have loved to be in NY, it was also a great opportunity to join our Roadshow crew at Mozilla’s Mountain View common space. 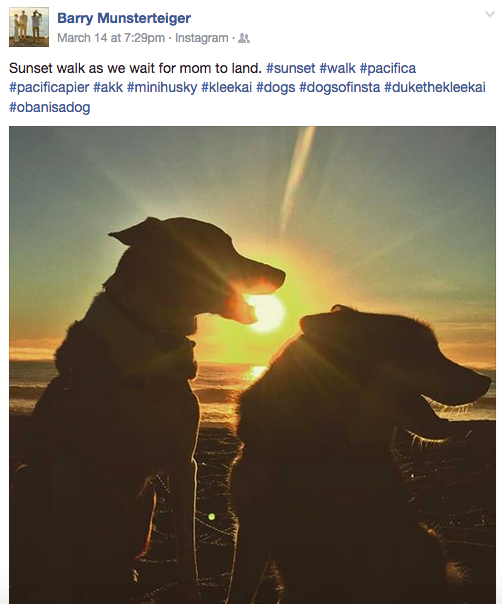 Sometimes I get a little sad to be missing out, but Stella will do that. 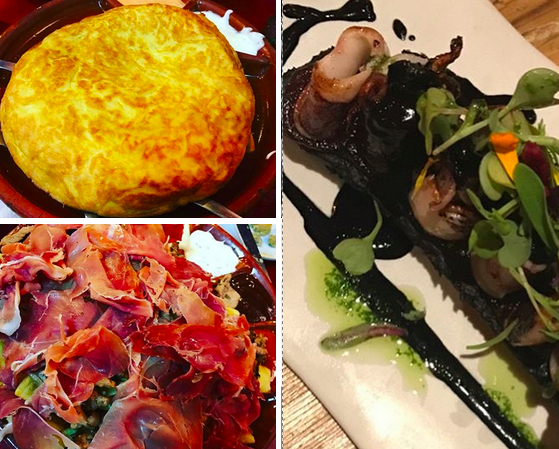 Oh, did I mention the deliciousness of Spanish tapas, again? Tortilla without onions! Plate 0 meat! Blood pudding! As expected, we had a pretty full house of diverse attendees curious to hear the WebAssembly talk — this time it was delivered in a very different style by Lin, through cartoons! And some probing questions followed afterwards that was fielded by some additional Mozillians in the audience, including Dan Gohman. Roadshow attendees are busy listening and asking questions — it’s time to remove social media activity as a metric for the Roadshow. We’re creating welcoming and inclusive events to attract diverse attendees. Weather happens, so having checklists and templates to share with the team in case of flight cancellations is a must. Taking some time to share a meal together and socialize can reveal better insight than from survey replies. Being on the road, in person, to shake hands and say hello creates relationships that emails and video calls can never, ever replace. And finally, having family waiting for you to come home is the best! Warm love and thanks to my husband for supporting my insatiable desire to be on the road! Just happen to be in Austin? Lin and Luke Wagner are in town March 21st, and will deliver another WebAssembly talk with the AustinJS community!